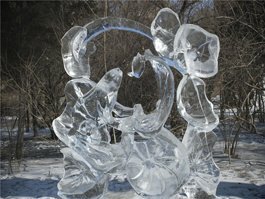 The annual Ice and Snow Sculpture Festival is Harbin&apos;s main tourist highlight. It is the world&apos;s biggest winter festival. The bitterly cold winters are just right for this festival. 10 to 15 million visitors annually. Tallest ice edifices: The tallest ice sculptures reach about 46 meters high. 10,000 workers cut and haul the blocks of ice. What sets the Harbin festival apart is the scale and size of the sculptures and the beautiful lighting. It is bigger than the ones in Sapporo, Norway, and Quebec. 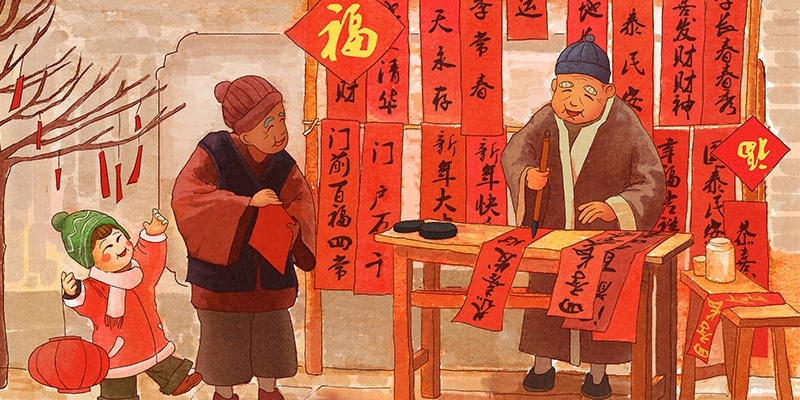 At first, mainly Chinese participated, but in the last decade, it has become an international festival and competition. As the festival grows in international participation, and as China&apos;s economy grows, the size of the snow sculptures and ice architecture exhibits keeps growing. The work going into making these exhibits is astounding, and their size and beauty is amazing. The lightning effects on the huge ice sculptures in the Ice and Snow World are technologically sophisticated. They use computer controlled LEDs and regular lighting to animate stunning displays of color and design. 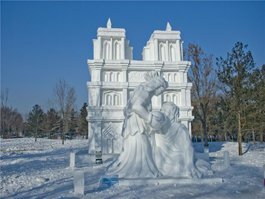 When is Harbin Ice Festival 2019? 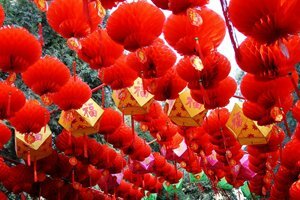 The festival is officially held from the end of December through February. Opening dates keep changing, and ending dates partly depends on the weather. Check with our travel advisers for current information. The Sun Island Scenic Area will be opened from Dec. 21 to Feb. 28. In general, each of the three venues have different ticket prices and hours. 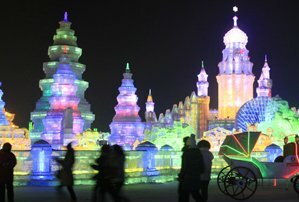 The Zhaolin Park Ice Lantern Festival venue and the Ice and Snow World venue are evening exhibitions, and the snow sculptures on Sun Island are for viewing during the daylight. Sun Island Scenic Area only displays snow sculptures that can be only visited during daytime. The Ice and Snow World displays ice sculptures of huge scale such as palace buildings, the Great Wall of China etc. It is best visited when they are colorfully lit at night. 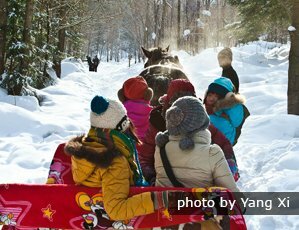 Zhaolin Park: More than 1,000 ice sculptures are displayed such as internally illuminated ice lanterns, magical figures, and animals that are loved by children. It is mostly an ice world focused on kids. There are interesting activities that kids may enjoy such as ice slides. There are plentiful flights from Beijing to Harbin from early in the morning to late at night. It takes about 3 hours to get to the Ice Festival sites, including the flight to Taiping International Airport (2 hours) and taxi to the sites (1 hour). A return flight is about 1,000 yuan (160 USD). Compared with flights, a train trip can save a lot, and bullet trains are very comfortable. There are five high-speed bullet trains (about 8 hours) and nine overnight normal trains from Beijing to Harbin. See the timetable below for bullet trains from Beijing to Harbin (for reference only). For current information see our acclaimed China Train Ticket Service. Tickets may be in big demand during the festival time so we always remind our customers to book their tickets in advance if they do want to do it themselves (bullet train tickets begin to sell 20 days in advance). If you book a tour with us, we will do all that for you. Our travel adviser will choose the best available trains to fit your schedule. Sub-Zero Clothing: In Harbin in winter the temperature is from -25°C (-13°F) to -10°C (14°F), and that&apos;s without wind chill! Hence thermal underwear, gloves, (scarves, earmuffs), hats, (face masks), and thick arctic clothing and boots are necessary. If you have ski boots they would be ideal. Wear sunglasses, or better still snow glasses, to prevent snow blindness. Drink plenty of fluids: Despite the cold it is very dry in Harbin (average humidity 2%). Frostbite prevention: If your hands or feet start feeling chilled, do some exercise to warm them up or go indoors. If your hands, feet, ears, nose, or other extremities lose feeling due to the cold, don&apos;t toast them or wash them with hot water. Ideally retreat to a warmer indoor environment, and rub them vigorously to restore circulation slowly. Protect your camera batteries: The average January high in Harbin is -13°C (8°F). The cold saps battery life. Usually a fully-charged camera battery will last for 50 photos (without flash), but in these cold conditions around 25 is good. If you take the battery out and warm it for a while, you may be able to take another ten. You can try repeating this action. It is also recommended that you keep your camera inside your down jacket when not use it. If you want to take lots of photos prepare more batteries for your camera, and keep them warm. Taxis: In Harbin (and the rest of China), if you use a taxi, make sure that the driver turns the meter on. If you don&apos;t, when you arrive, they will charge you their own price! Also, carry small denomination bills because you may be handed fake money if you try to get change. From the airport or the train station, it is better to take a cab that is waiting in the official taxi waiting line to avoid problems. Not interested in the above tours? 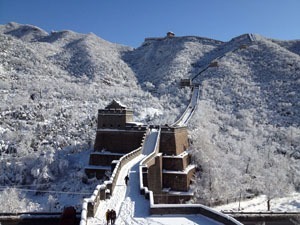 Just tell us your interests and requirements, and China Highlights will tailor-make you a perfect Harbin tour.